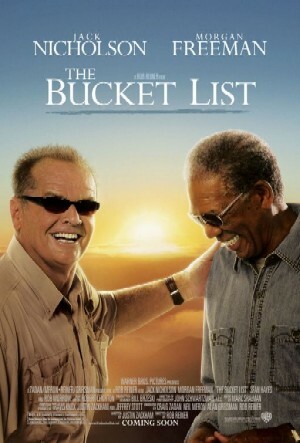 2007 American comedy drama movie "Bucket list" starring Morgan Freeman and Jack Nicholson inspired a whole lot of people to create a bucket List. The main plot follows two terminally ill men (portrayed by Nicholson and Freeman) on their road trip carrying out things as per their wish list before they "kick the bucket"
It may thus seem paradoxical that someone can have health bucket list. When you are set to kick the bucket, why have a bucket list pertaining to being healthy. Surprisingly , most people do have measures that will make you healthy as a part of their bucket list. What drives them to do that? One of the reasons could be that being healthy is liberating.. While you amy be all set to kick the bucket and die of a cause that human medicine has yet not tamed, dying healthy and happy still is the best way to die! Majority of things on this list would comprise of things that make you happy, a few would make you die a healthy person.. and that would be ultimate 'Nirvana'. So folks think beyond.. donot forget to include being healthy on your bucket list.. it might just also give you more time to accomplish things on Your bucket list before you actually kick the bucket!